Wheelchairs and medical equipment for those in need. Living with a rare genetic disorder called Short Rib Polydactyly Syndrome type 2, 19-year-old Rhett Carbine requires the use of a wheelchair and a steady supply of oxygen tanks. Despite his condition, he's a popular figure in his neighborhood and is currently completing a service mission for the LDS Church. 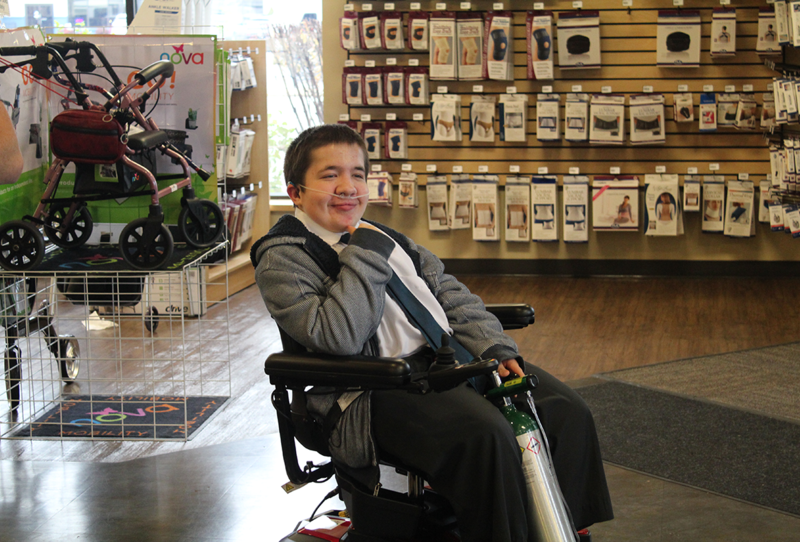 In November 2018, Rhett's power wheelchair and oxygen tanks were stolen from the back of his mother's SUV, sidelining Rhett from his mission and other daily activities. The B in Motion Foundation replaced his same power wheelchair model with a brand-new version, getting him back into action! 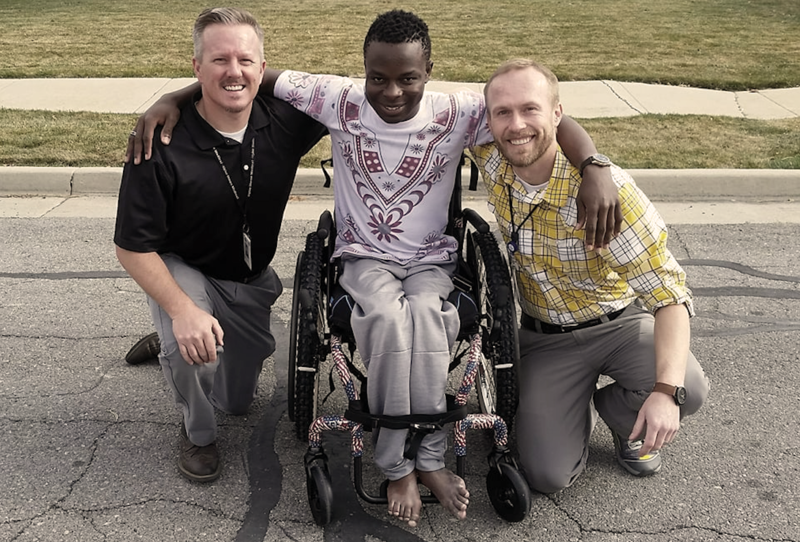 Born and raised in Ghana, Africa, Eric was paralyzed from the waist down from an auto pedestrian accident when he was only a toddler. For nearly 20 years, Eric went without a wheelchair and was unable to leave his home without assistance from a family member. In 2017, the B in Motion Foundation was proud to provide Eric with a brand-new wheelchair that he could take home with him. Today, Eric is happy to have his mobility and independence back! Born with cerebral palsy, Keaton and his family were devastated when their family car was stolen with his wheelchair inside. 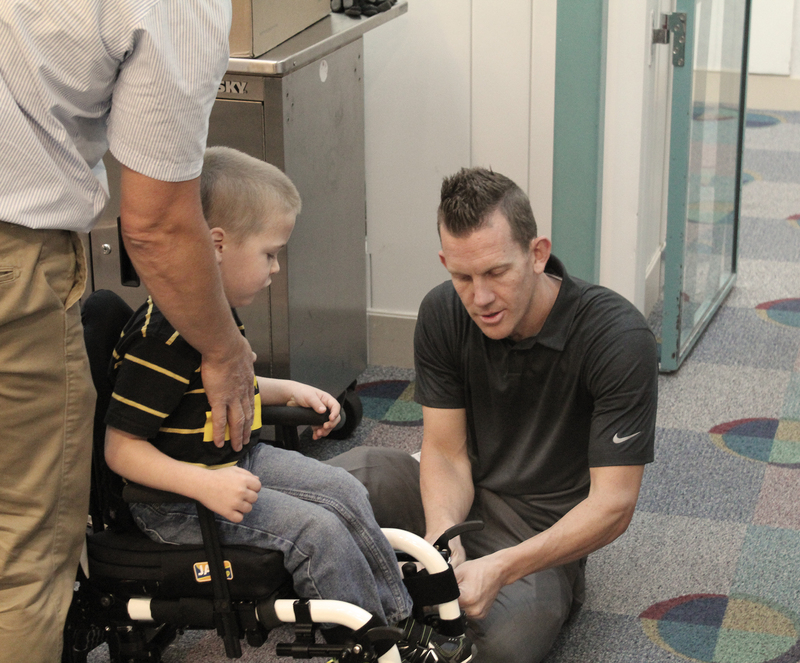 The community came to the rescue; the stolen car was replaced for free by a local dealer, thousands of dollars were raised for the family on GoFundMe, and the B in Motion Foundation was able to fit Keaton into a brand-new pediatric wheelchair for free. Keaton insisted on a glow-in-the-dark wheelchair, and he happily uses it every day at school and while playing at home. Your donation helps recipients like these! Since all overhead costs for the foundation are provided by Alpine Home Medical, every penny you give to B in Motion goes directly to people in need.